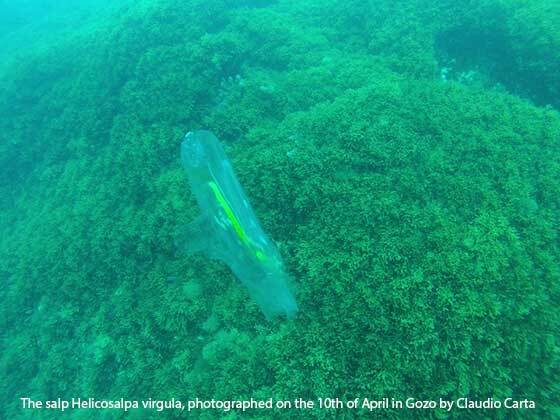 The popular jellyfish citizen science campaign - Spot the Jellyfish - launched in June 2010 - is being renewed again this summer through a number of initiatives, which include the installation of the trademark seaside boards along the most popular bays of the Maltese Islands, as well as the dissemination of informative material with all local SCUBA diving clubs and coastal local councils. A number of educational talks on jellyfish will also be delivered in local beaches in collaboration with the Malta Tourism Authority. 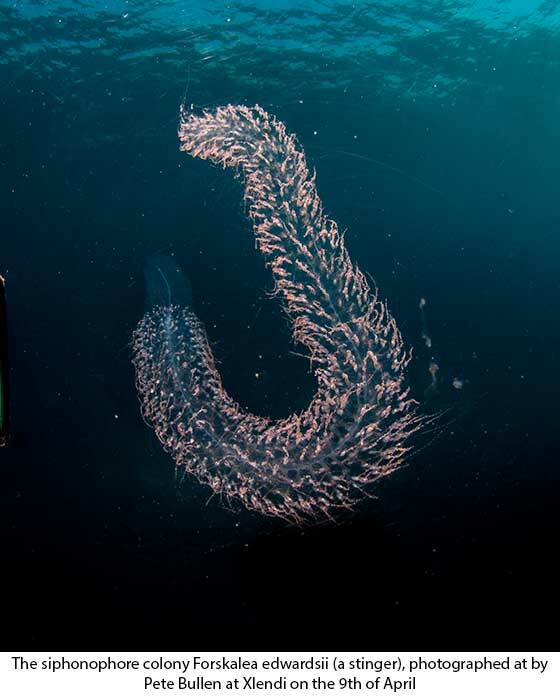 Throughout the winter, non-bathing season, the Spot the Jellyfish team still received numerous reports of gelatinous species from divers and boat owners, with such reports mainly referring to non-stinging comb jellyfish and salp colonies, and to stinging siphonophore colonies. Currently, vivid blue by-the-wind sailor colonies are being beached along local shorelines. 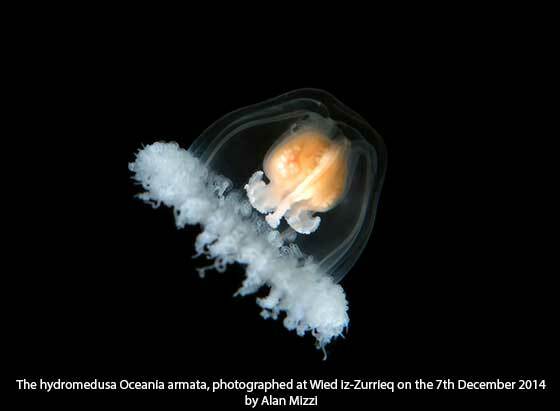 Within the MED-JELLYFISH project (http://jellyrisk/eu), the Physical Oceanography (PO) Unit at the University of Malta also recently published a jellyfish identification manual, in English and Maltese, which will soon be downloadable from the project website. 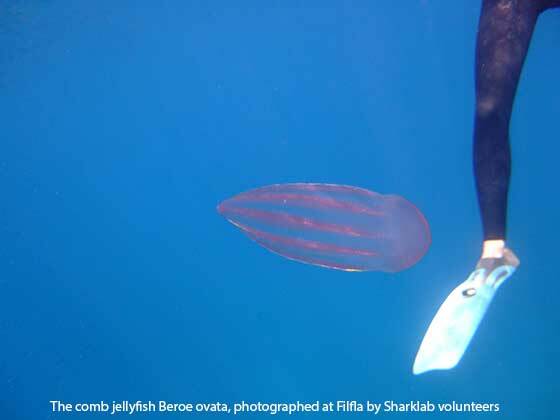 The Spot the Jellyfish initiative, which is coordinated by Prof. Alan Deidun and Prof. Aldo Drago and other staff at the PO Unit, is supported by the MTA, Nature Trust, Friends of the Earth, SharkLab and the Ekoskola and the Blue Flag Malta programmes. The initiative follows a citizen science approach and relies on the collaboration of the public, sea farers, divers, and especially youngsters - through their teachers and parents - who are encouraged to assist in recording the presence and location of different jellyfish through the use of a reporting leaflet. The leaflet is being widely distributed, and can be downloaded from the website www.ioikids.net (clicking on the jellyfish banner), which also contains snippets of information and anecdotes about different jellyfish species. Reporting is done by simply matching the sighted jellyfish with a simple visual identification guide, giving the date and time of the sighting, and indicating the number of individuals seen. Sightings can be reported online, or by sending a text message to 79604109, or an e-mail message to ioi-moc@um.edu.mt. Strange-looking jellyfish that are not included on the leaflet should be caught and kept in a bucketful of seawater prior to contacting Prof Deidun on e-mail (alan.deidun@um.edu.mt) or the PO Unit on 23402844 to collect for definite identification of the species. If this is not possible, photos of the jellyfish should be taken and sent to the PO Unit's offices at the University of Malta.